This looks promising. 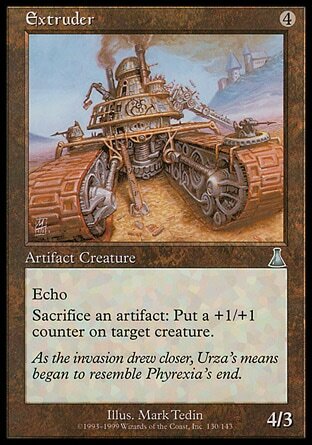 Could provide the ramp goblins need to chain recruiters or set up a food chain? Color me skeptical. This is a Punisher card. Your opponent will choose whatever is best for them. If you're locked down under a Sphere, they'll rely on Sol Lands instead. If it cost 1 mana, then they probably would not have a choice; they kept a hand with a mox or crypt and need to use it, probably. So, if it cost 1, it would situationally be as good as Llanowar Elves. That's not high praise. 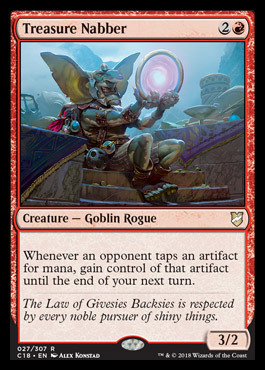 There's a second use case, along side Welder or something else to sac the artifacts, but that's an awful lot of work and mana to do what Mox Monkey already does.